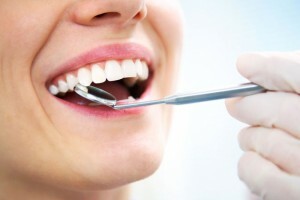 Today much emphasis is placed on having a healthy smile. But if you have one or more teeth that are cracked, chipped, decayed, or otherwise degraded, how can you best restore your smile? Crowns—also known as tooth caps—are a popular dental restoration option. Metal – Metal crowns can be anything from stainless steel, silver, or gold. These crowns are more visible; however, they are some of the strongest, allowing for long-term functionality. Ceramic – Ceramic is another option for those wanting a dental cap that closely matches their natural tooth color. These aesthetic material have seen significant advances in recent years, making them nearly as strong as metal crowns. Here in Milwaukie, crowns are a great option as they can bring about both health and emotional benefits in the long run. Health-wise they restore your teeth, fill in gaps, and prevent further decay. Emotionally, crowns can offer a big boost to self-confidence as you no longer have to worry about what others might think about the discolored or decayed teeth your smile exposes. Want to learn more about crowns and figure out which options are best for your dental needs? Contact Anderson Family Dental today!